25-Apr-2003 -- This is our second confluence point after N57 E66 and the first visited point in Altayskiy kray. This point is relatively easy to access so there were no problems at all to get there. 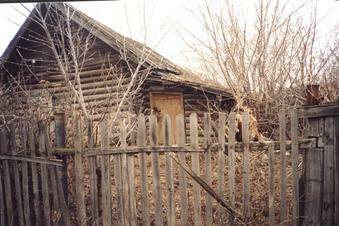 As you can see on the pictures, it situated near the abandoned building in the middle of Podborniy village.